The City of Minneapolis has posted its preferred layout for 38th Street between Hiawatha to Minnehaha avenues. 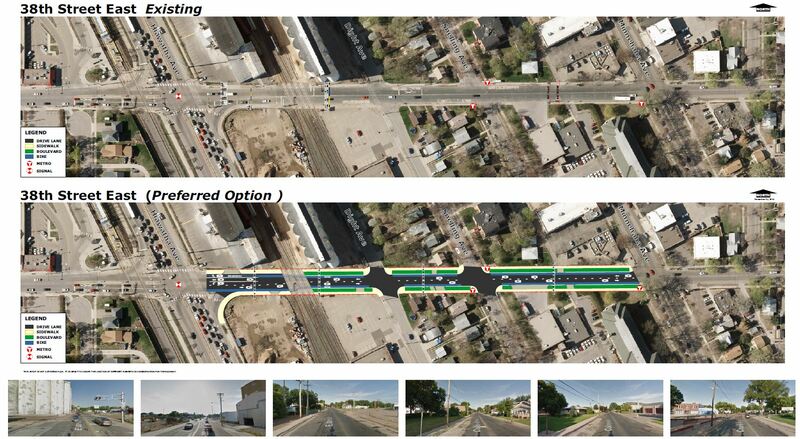 The new roadway is proposed to include a variety of treatments to make it more pedestrian and bicyclist friendly, including on-street bike lanes, street lighting, and wide grassy boulevards between the sidewalk and road. Construction is planned for 2016. More information is available on the City of Minneapolis’ project website. 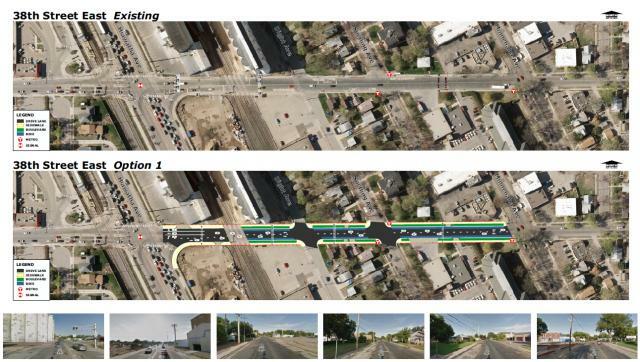 The City of Minneapolis is planning a full reconstruction of 38th Street between Minnehaha and Hiawatha avenues in 2016. This project was identified as a priority in the Minnehaha-Hiawatha Community Works framework document to support multi-modal access and economic vitality in the area. The current roadway is an important connection to the 38th Street LRT station from the Longfellow neighborhood. However, the road lacks boulevards, trees, lighting, and bike facilities which support pedestrian and bike access to the station. Check the project website for more information.